Beale, R. L., Brown, III, U.J., Finley-Hervey, J. (2009). "Ethics in the Hallowed Halls of the Academy: Antecedents of Cheating Behavior". Review of Business Research, Volume 9, No. 3. 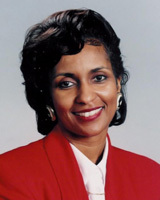 E.L.Hamm Teaching Award for 2007, Hampton University.